I grew up in Buenos Aires and Montevideo and moved to Kansas City, Missouri, with my parents in 1991. I attended high school in Kansas City and stayed in Missouri for college and law school - where I was International Law Society president, and participated in the Jessup International Moot Court competition. I also worked at a North Kansas City law office, mainly on criminal defense and civil litigation. Following graduation, I worked as a legislative analyst in Jefferson City, MO, until moving to Chicago in 2004 to work as a community organizer with the Illinois Coalition for Immigrant and Refugee Rights. I have stayed in Chicago since, working as a union representative, and as a political consultant until making my way back to the law. 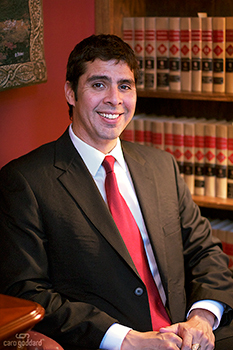 In 2008 I began working at a small firm in Little Village, almost exclusively on immigration cases of a diverse nature, and in January 2009 I started my own practice – focusing mainly on removal defense and cases involving criminal issues. In 2013 I joined a Chicago-based national immigration litigation firm, and in May 2015 I re-launched my own practice. I try to devote time to pro bono work and political advocacy for immigrants. I am an avid fan of soccer and rugby, and serve on the boards of directors of the Argentina Chicago Foundation and the Chicago Lawyers Rugby Football Club, the Spanish language advisory board of Illinois Legal Aid Online and on the �junior board� of Urban Initiatives. I am also authorized to practice before the Executive Office for Immigration Review (EOIR) and the Board of Immigration Appeals (BIA). My practice outside of Illinois is limited to immigration matters, where such practice is permitted by the bar of the state in question.